Happy Monday all! When Anthony from Ortanic reached out to us about custom airbrush tans we were really excited! Brittani has gotten a spray tan before but Katie hasn't so it was going to be nice to have two different perspectives on the experience. On the evening of July 25 we ventured to the Ortanic spa location in the West Loop of Chicago for our custom spray tans. Ale was our technician and she was literally amazing! She made us feel comfortable and confident that our tans would be perfect. We made sure to wear cotton clothes (and no bra) that we knew we wouldn't mind if some access spray tan got on it since it would later wash right out of our clothes. Brittani wore her boyfriends frat shirt (yay Pike!) and cotton black shorts while Katie supported our alma matter, The University of Arizona, in an oversized t-shirt and black cotton shorts. 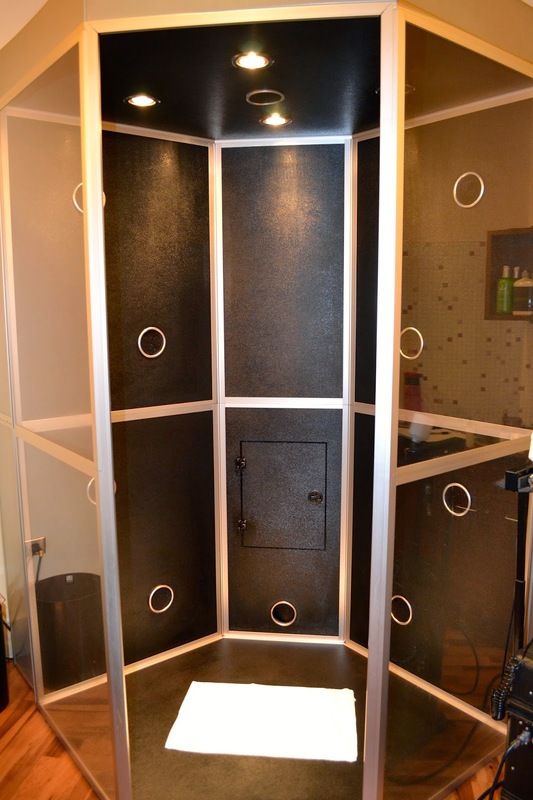 In order to ensure our tan would last, Ale recommended that we upgrade our regular spray tan package (valued at $47) to include a Ph balancing spray before the actual spray tan and a post tan spray that has drying agents in it. Both individually are valued at $4.99 but together as a package come to $9. And the best part, your first tan with Ortanic comes with $10 off, so the added sprays basically pay for themselves. We absolutely loved our spray tans! We had a nice sun kissed glow for about 6-7 days without having to worry about finding time to lay out in our busy schedules. We were never orange and never worried about looking fake :). Be sure to check out Ortanic and follow them on twitter and facebook. We already have our next spray tans booked, have you booked yours yet? !